Our liking for the good things has led us naturally to propose ham from organic farming. 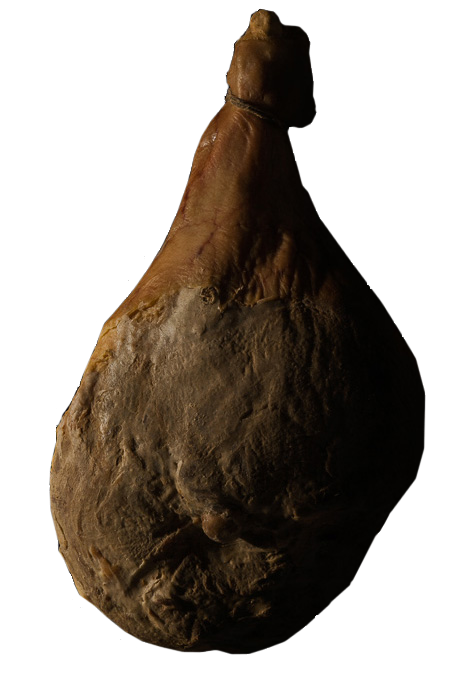 For the production of this organic ham, we use no preservatives, no flavours, no nitrates, no nitrites, no additives of synthesis or transgenic additives. This range of organic ham has all the qualities of Bayonne Ham in addition to being 100% natural. HISTORY : The compliance with the natural agricultural methods and practices is as important as the respect to animal welfare on an organic breeding farm. The authorized breeders comply with the organic specifications completed by strict Protected Geographical Identification’s specifications. THE ORIGINS OF THE PORKS : Animal breeding on an organic farm is based on natural methods. In our particular case, the pigs that we have selected are exclusively bred on an organic farm in south-west France (Protected Geographical Identification) where they profit from a nice climate combined with a rich and diversified vegetation as well as good sun conditions among some of the best in France. The authorized breeders comply with organic farming specifications completed by strict Protected Geographical Identification’s specifications. The pigs are bred in the open and benefit from all its assets (good air quality, food diversity, space, freedom of movements). The size of the breeding farms is limited, reducing thus the risks of illnesses development that may affect the herd. The animals are less stressed, less aggressive, and soil trampling due to the reduced space which causes oil erosion is minimized. FOOD : Les porcs sont nourris à partir de produits végétaux également issus de l’agriculture biologique et fournis directement par la ferme d’élevage. SALTING : The pigs are also fed on organic farming plant products and delivered directly by the organic breeding farm. FLESH : Due to the absence of colorants and nitrates in our products, these have a traditional pale pink colour which doesn’t mean lower quality but which is, on the contrary, an evidence of our ancestral know-how. The concerns in the production process are natural tastes, human health, animal welfare and preservation of the environment.